Anchorages transfers Prestressing force in the cable to the concrete. Post tensioning system for H.T. Strands normally comprises of a bearing plate with tapered holes, tube unit & wedges for gripping strands. In Pre tensioning system, only wedges and barrels are used. Our Clients Can Avail from us Flat Type Anchors. 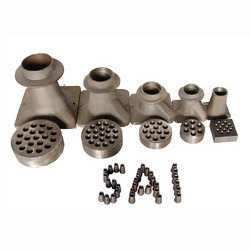 These anchors are used in refractory castable lining for double layer. These anchors are widely used in various industries and are easy to handle and have a long life. Flat Type Anchors are known for dimensional accuracy, corrosion resistant and durability. Saviour 14 mm Polyamide [PA] Rope with one side carabiner attachment and other side knotted end. This line is used for attaching fall arrestor [Rope Grab]. With the help of our dedicated team of professionals, we are involved in offering a broad array of Horizontal Anchorage Line System. In line with global quality standards, the provided range is fabricated with the use of qualitative materials at clients’ end. 14 mm Polyamide [PA] Rope with one side carabiner attachment and other side with knotted end. This line is used for attaching fall arrestor [Rope Grab]. A bulb anchorage can be used as a dead end anchorage with simpler solution and more cost effective. In this case each strand is formed into a bulb shape by means of special bulb forming jack. 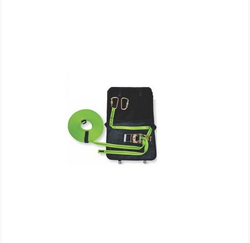 - The Whole System Is Supplied In A Bag, Which Is Permanently attached To The Assembly And Also Enables The User To Easily Carry The System With The Help Of The Comfortable Shoulder Hanging Straps provided In The Bag. - Both The Ends Are Provided With Auto Locking Steel Karabiners. Ismal anchorage is manufactured (in compliance with BS 4447:1973 and FIP recommendations:1993) to suit cables having 4, 7, 12, 19, 27 & 31 numbers of 12.7 mm strands and also cables up to 19 nos. of 15.2 mm strands. Anchorage to suit cables of any intermediate number of strand can also be manufactured on request.